Finally! After much waiting, Siemens has decided to offer a student version of Femap. Here is the brochure PDF on the Siemens website. Many other software companies have offered products this way and it is a successful practice in expanding the user-base and assisting with individual skills development for up and coming engineers. Siemens has traditionally offered Femap as an evaluation license, but that had even stricter limitations with respect to model complexity. I can foresee the second limitation becoming frustrating for students wishing to quickly tet mesh solid brackets, say, on the frames of college Formula 1 team cars. However, it may help them in the long run by forcing the use of reduced DOF approaches, i.e. using 2D plate meshes for the same purpose. For that, most student will need some additional assistance in using this new offering, which leads me to my next point…. Support is not the same as when the product is bought outright. Instead of having a human available to assist with support issues, student users will have to rely on support forums and the training videos available on the Siemens website. 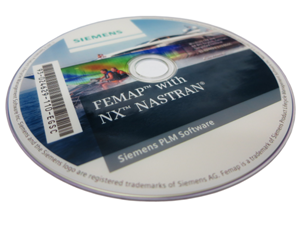 Unfortunately, these can’t deliver a comprehensive training by themselves, so pick up a book here to learn all you need to know when getting started with Femap. The student version can be downloaded here. ← Femap v11.4.1 released! Go download!